We are dedicated to continuous industry education for our whole team, and all our service technicians have the most up-to-date training available. 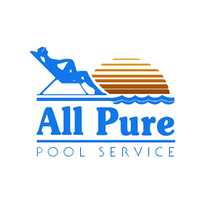 All Pure Swimming Pool Service has been maintaining pools in the Inland Empire area for over 20 years. We are locally-owned business, and we take pride in being active members of the community. We are dedicated to continuous industry education for our whole team, and all our service technicians have the most up-to-date training available. Our full service pool maintenance clients know we always show up on the same day each week, 50 weeks a year. We look forward to getting to know another face in the community. Click here to read more reviews for All Pure Swimming Pool Service. Questions? Please Send Us a Note!